In our internet driven and social media obsessed world we can access numerous review sites, read travel blogs, get directions instantaneously and ask friends for recommendations at the click of a button (or face to face if we are feeling old school). With this in mind, I have been questioning the need for a hotel concierge. I mean, what can they tell me that Google can’t?! Especially if they look like miserable, tired, ‘bored with life’ type people wearing uncomfortable hotel uniform…and start to awkwardly twitch as you approach them with a simple question. Yes I’ve experienced concierges like this many times over the past few months, one at a hotel in New York in the summer who even went to print something for me from the back room and never came back..! That’s what I thought until staying at The Shore Club hotel in Miami. Half reluctantly being led by my hubby over to the concierge desk on our first day we were greeted by Reo, a friendly looking guy in his late 30s wearing a loose fitting, bright coloured shirt. He welcomed us over with a huge smile, shook our hands and immediately complimented my engagement ring. Yes one could argue this was maybe a touch on the ‘false’ side, but I didn’t care. I’m on holiday and this guy was making an effort to make us, as guests of the hotel, feel welcomed and a little bit special. We got talking about all of the things we could do during our stay in Florida and it became clear quite quickly that he knew his stuff, telling us the best bars to go to, the best Keys to visit, the best restaurants to eat in on each Key and the best day of the week and time of day to go. He was talking from experience, giving us little anecdotes from his own personal adventures. He was passionate and clearly loved his job. Every other guest who walked past gave him a wave. He asked how the things he’d recommended they do had panned out, remembering each person and exactly where they had been without taking any focus away from us. 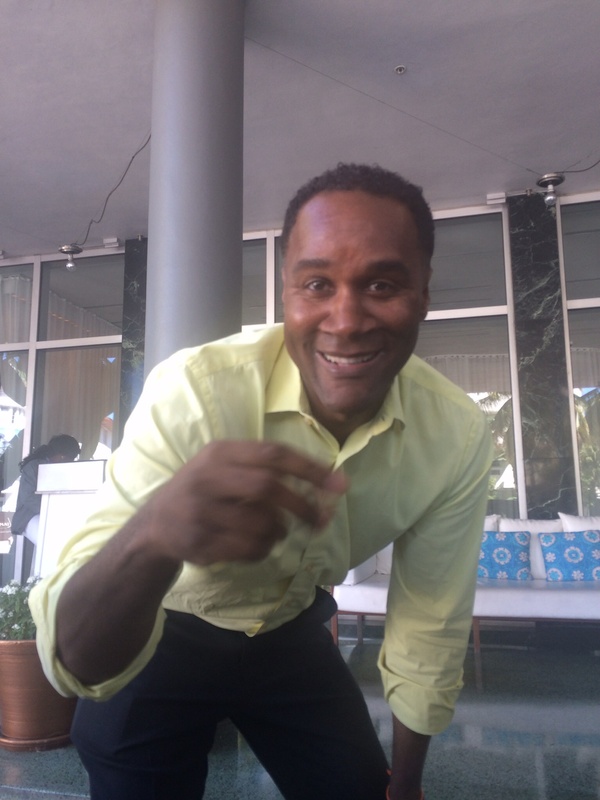 He spoke to us about how he ended up in Miami, having lived in the Caribbean, South America, LA, Australia and London. He randomly switched to the most impressive South London accent I have ever heard an American do which could have fooled even a Londoner into thinking he was from Streatham. He printed stuff out for us from the room behind him whilst still talking to us, rather than doing a disappearing act. Reo clearly injects his personality into every interaction he has with each guest of the Shore Club hotel, wholeheartedly caring about each individual having the best holiday possible with nothing being too much trouble. But above anything, he has a twinkle in his eye and loves what he does. It’s not so much about what he is recommending guests do, but the way in which he recommends it. This is absolutely when hotel concierges are worthwhile – when they not only tell you about the experiences you can have, but become part of the holiday experience itself. Anyone can simply look up an address and send something to the printer. 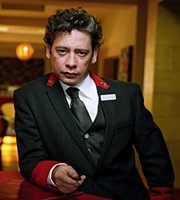 Hotels should be looking to only employ a concierge who can naturally do more than this…an individual who is passionate about travel and people…an individual who doesn’t just follow the hotel brand guidelines but someone who does their own thing to make every guest have the best trip they can possibly have. Something I pay close attention to whilst staying in hotels is the mini bar. In fact, one of the first things I do when I check into any hotel room is suss out the mini bar situation. This has become a kind of ritual as I settle in and familiarise myself with my temporary ‘home’, despite the fact that 95% of the time I wouldn’t actually buy anything from it. We’ll come onto that. The contents of a mini bar can tell you more about the hotel brand and the location you are staying in than you might realise. For example, I stayed in a quirky boutique hotel in Moscow a couple of years ago called the Golden Apple and was amused to discover that vodka was cheaper than water. Got to love the priorities in Russia! Coincidence? Or a reflection of how prominent British culture is in modern India? 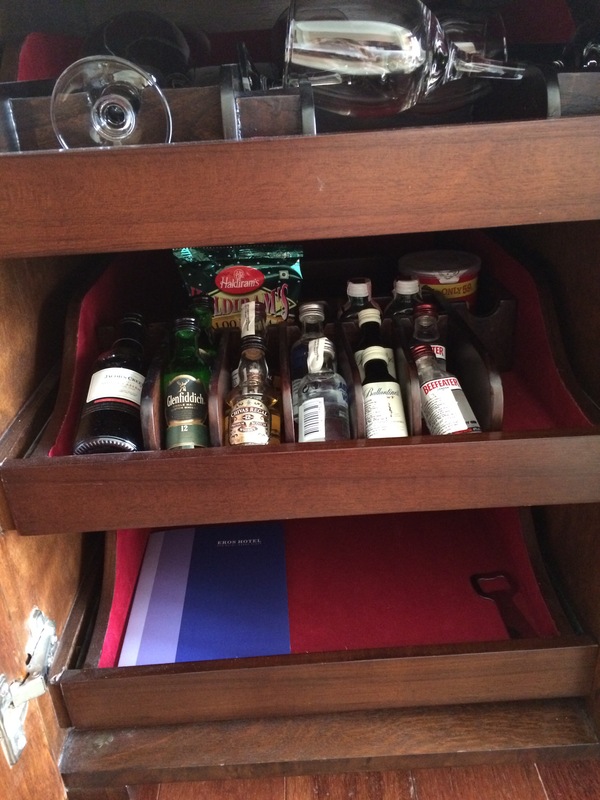 And this picture below taken of a mini bar in the Zetter hotel where I stayed a couple of weeks ago in Farringdon London, has moved away from your typical classic ‘open-the-cupboard’ mini bar to having all the tempting snacks in full display on the unit next to the bed. What is more interesting is the hotel’s choice to supply a product called ‘Faust’s potions’ – a relatively new product on the market, described as a ‘recovery pack aimed at professionals to help you feel your best’… or in other words, to help ease the hangover. Says a lot about the clientele… I had in fact just come from an evening of wine tasting! So we have lots of different types of mini bars offering a range of different products. But who is actually buying the contents? Apparently very few of us according to TripAdvisor who shared results from a research study conducted for them by Ipsos earlier this year which suggests that mini bars are soon to be a thing of the past. Only 14% of global travellers consider the mini bar an important amenity whilst 63% of global hoteliers have already done away with the mini bar. This made me question why I very rarely take anything from the mini bar and I came to two conclusions. Firstly, the majority of snacks in a mini bar are loaded with carbs and covered in chocolate. Although I love to indulge, especially when I’m on holiday, I tend to do my indulging when I’m out and about. Snacking on crisps and chocolate is often the last thing I want to do when I come back to my hotel room after a heavy meal, or when I leave the room first thing in the morning. Mashable, in its 15 ideas that would vastly improve travel suggests that healthy vending machines offering olives, dried fruit and organic foods would go down well in hotels and I have to agree…not just for corridor vending machines but within mini bars in bedrooms too. Secondly, there’s the guilt thing. We all know that the prices of products in mini bars are likely to be at least treble the prices of the same products in the shop just outside the hotel. 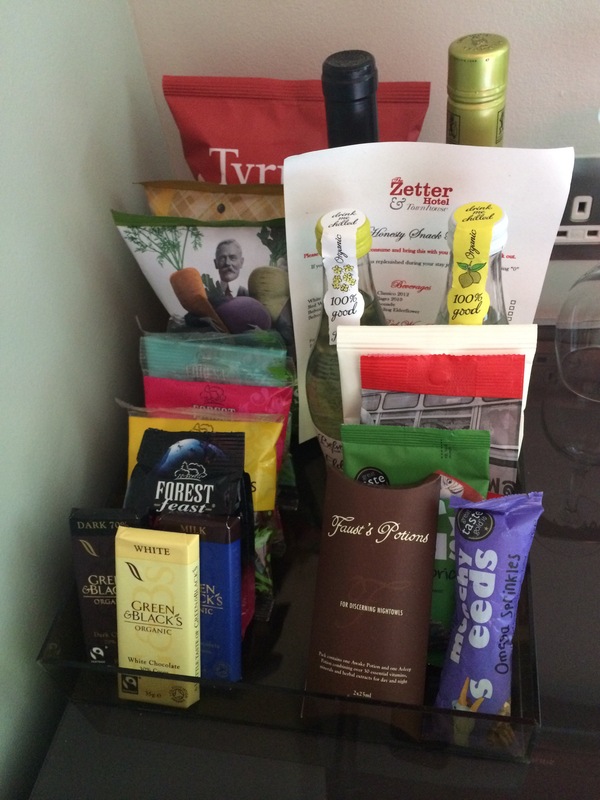 We have also clocked onto the fact that mini bars are designed to catch us at our weakest moment, with some hotels now (like the Zetter) having their mini bar products in full display, eyeing up their guests and luring them in. As tempting as the display might be, I think that travellers are outsmarting the system and realising that popping down to the 7-11 to stock up on water and snacks for the room is the way to go. People just can’t justify the current cost of products from a mini-bar, even business travellers using the company credit card. We want to feel smart about the choices we make when we travel and spending over the odds for a bottle of water, a packet of crisps and a shot of whisky doesn’t seem so clever. So we’ll apply control, restrain ourselves and resist temptation…or be shrewd and come armed with pre-purchased snacks. I’ll finish this post with a story of a mini bar incident that occurred on a business trip earlier this year which still makes me chuckle. We were in New York, staying at the Intercontinental Times Sq. One of my colleagues, the newest member of the team who was excited to be on his first trip away for work, started getting to grips with his room. He was intrigued by the bright coloured packet on top of one of the cupboards and upon closer inspection, realised this was a condom pack. He then realised that attached to this pack was a wire and that wire ran back behind the cupboard connecting to something else. By the time he had registered what it was connected to – the mini bar – it was too late. He had nudged the condoms and they had now been out of position for over 10 seconds. The sign next to the bar said that anything out of place for 10 seconds or more would be charged – the bar had a sophisticated sensor system so could recognise this. The panicked expression on his face and shaky explanation to our team of what might be appearing on his room bill at checkout is something I’ll never live down. What is the quickest way to board a plane? lozkays87 on Who needs a concierge? Moritz on Who needs a concierge?